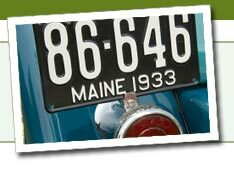 Vintage and collectible license plates from the U.S. states. Simply choose a state from the list on the left to see license plates from that state. Clicking any displayed listing will take you to that specific license plate listing on eBay's site, where you can buy or bid on it, or put it on your watch list to bid closer to the end of the auction.